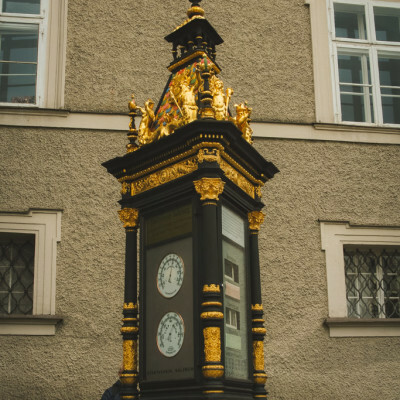 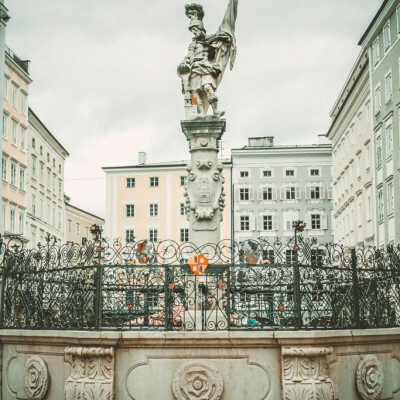 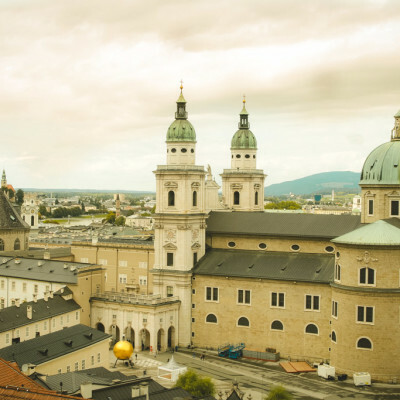 This post was coming for a long time, but we were busy highlighting Oktoberfest 🙂 Definitely, Salzburg is in Austria, but no one can blame us for sharing that nearby abroad destinations with you, especially when you live in Berlin and want to visit Austria. 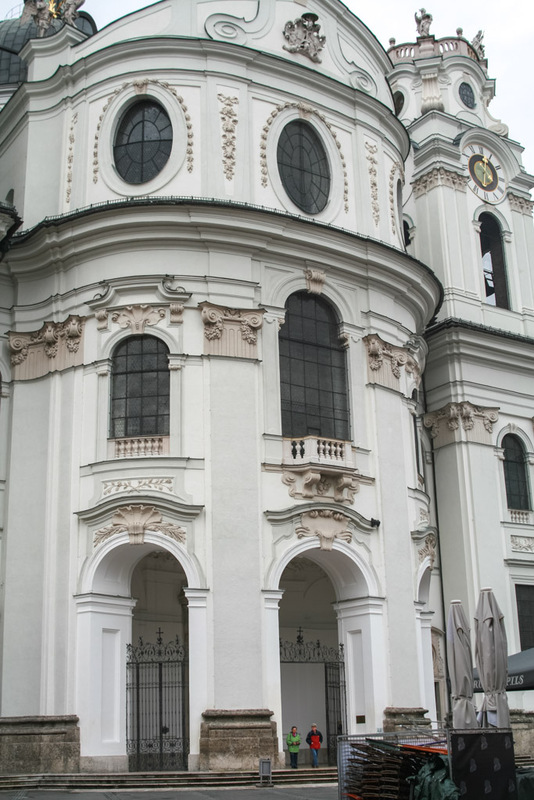 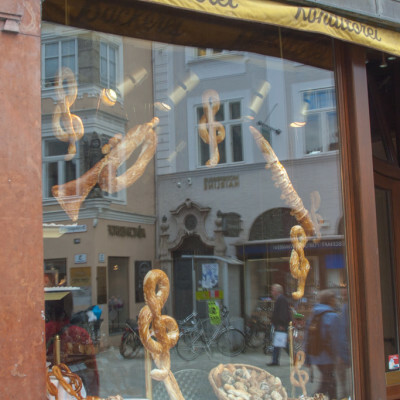 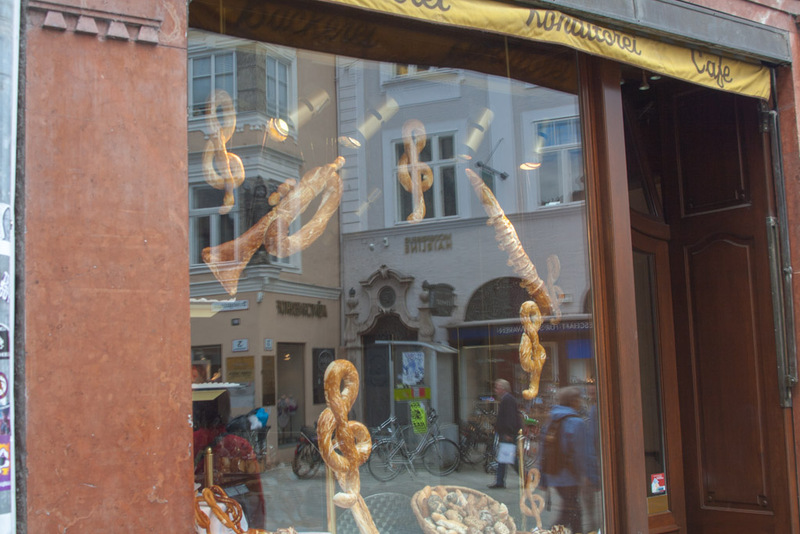 Small and cozy Austrian city is a desired destination for tourists from nearby countries and from far abroad. 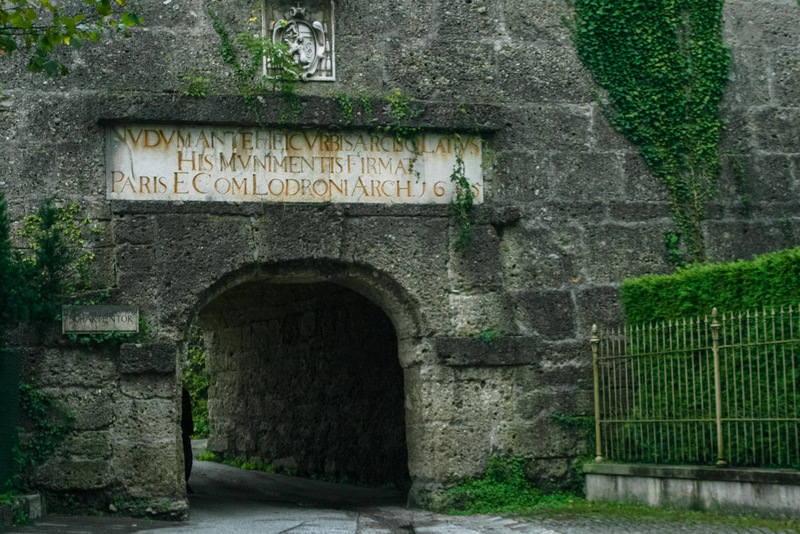 We’ll highlight the most famous attraction we were able to visit. 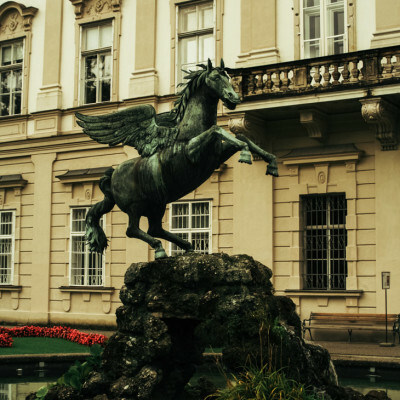 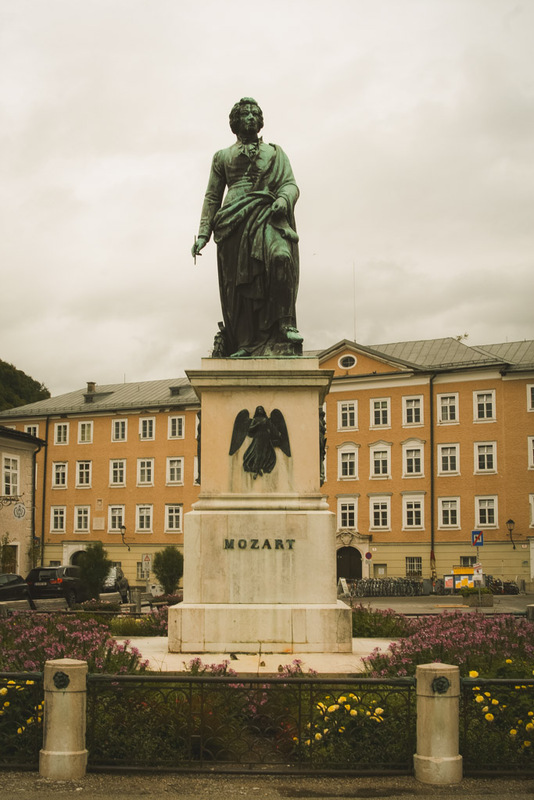 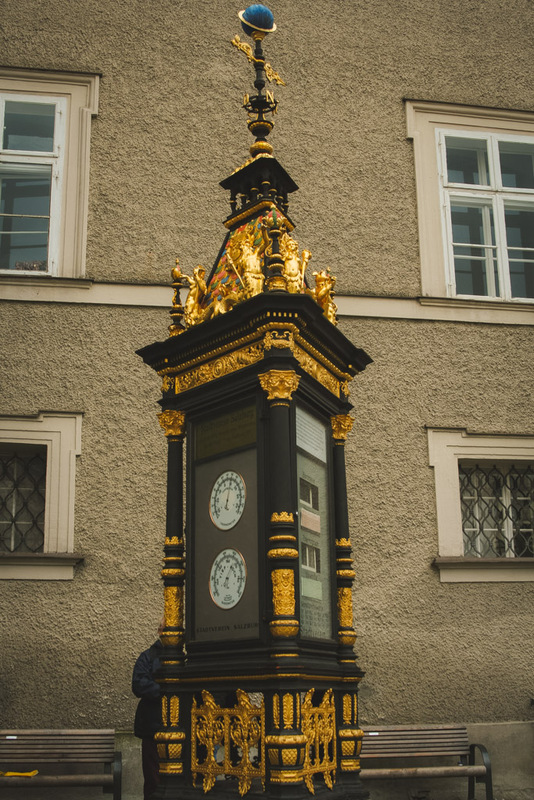 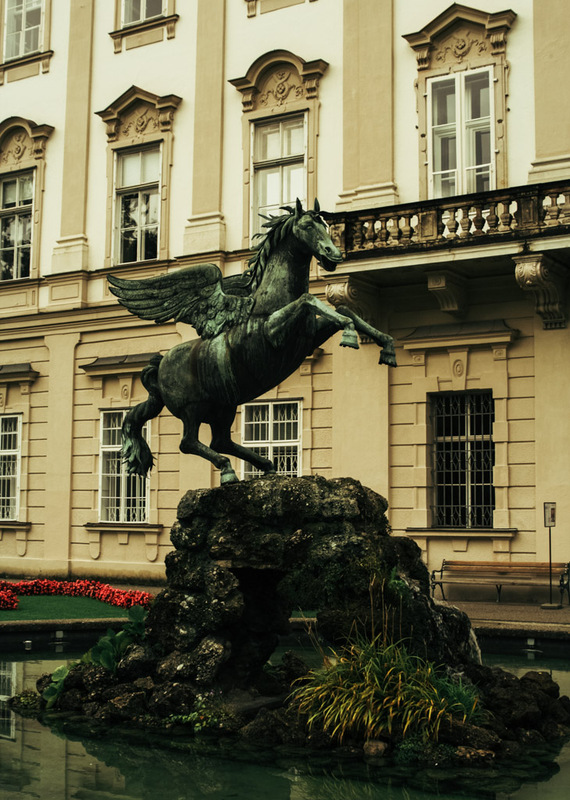 The city is undoubtedly famous for its most prominent son – Wolfgang Amadeus Mozart. 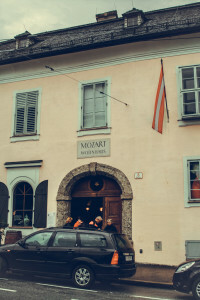 The admirers of the great composer can find the house where he was born and an edifice where he spent the most of his life. 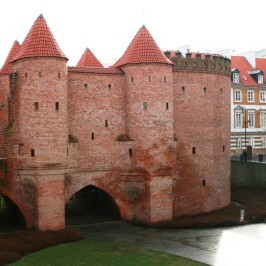 Both are operating museums and the entrance ranges from 8 to 10 EUR. In our humble opinion, nothing special can be found there, except the recreation of Mozart’s room, which presumably contains the furniture he used (who can prove the opposite?). 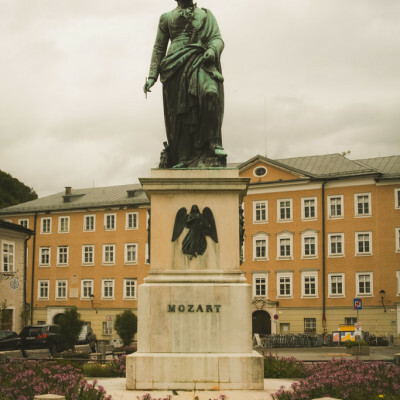 But if you are a huge fan of Mozart, perhaps a story of his life would be interesting for you. 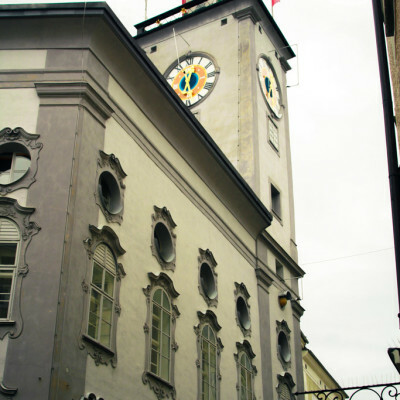 The city center is compact and cozy. 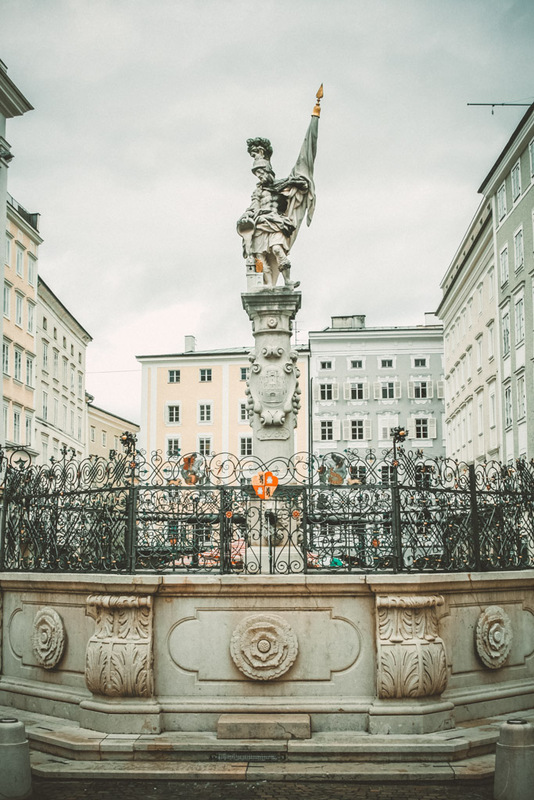 Old buildings and cobbled streets are giving that special charm of the city which was frozen in the 18th century. 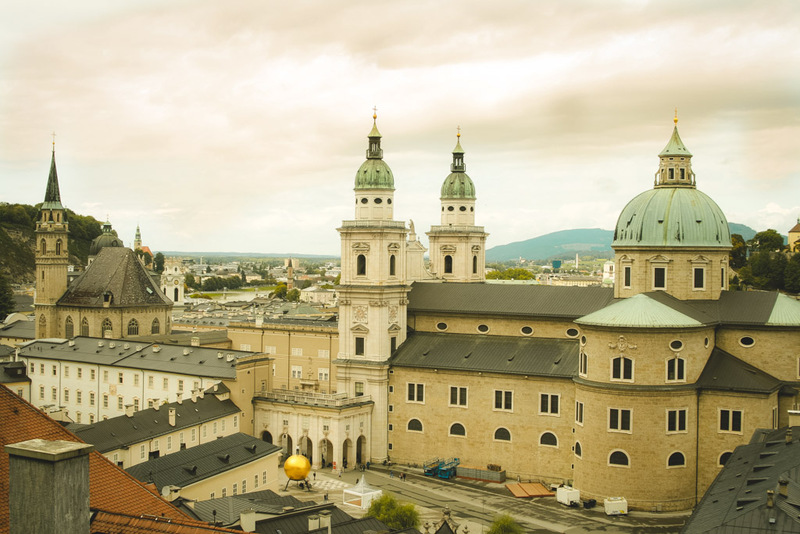 Austrian architecture style is amazing and attracts a lot of admirers, especially from the United States and Latin America countries. 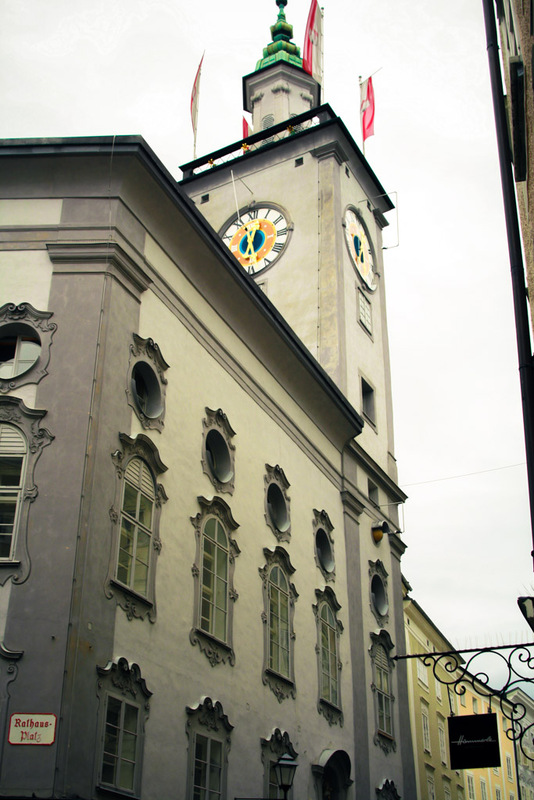 A palace that was designed back in 1606 and now houses the offices of Salzburg’s mayor and the municipal council. 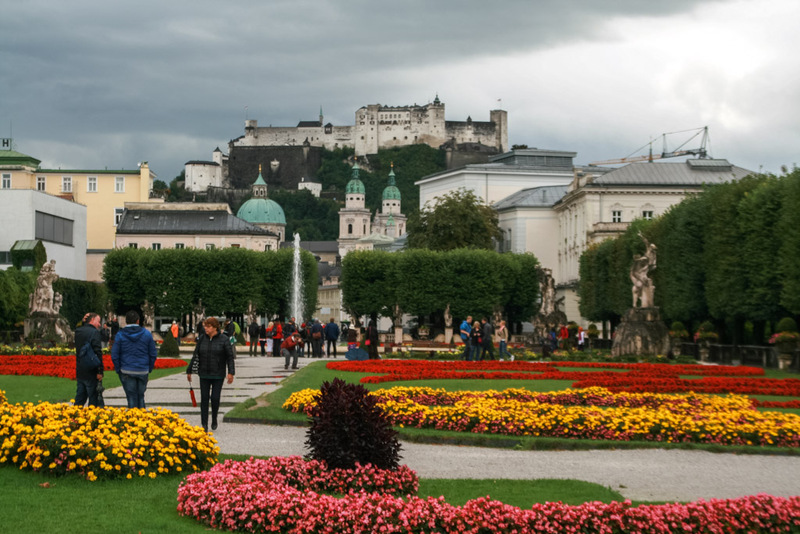 The palace was built as a token of a love by Prince-Archbishop Wolf Dietrich to his wife. 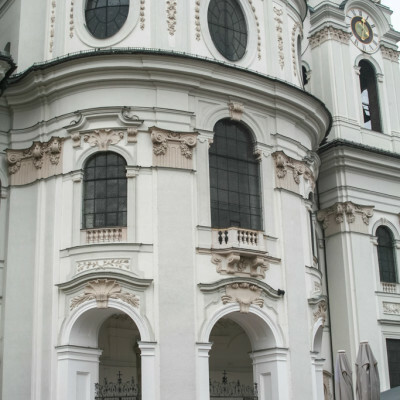 Later on, his successor renamed the palace and gave its original name. 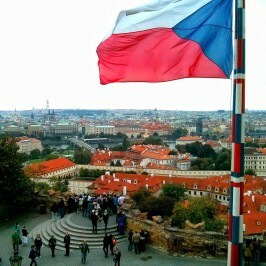 A good destination to start the walking tour if you arrive at the train station. 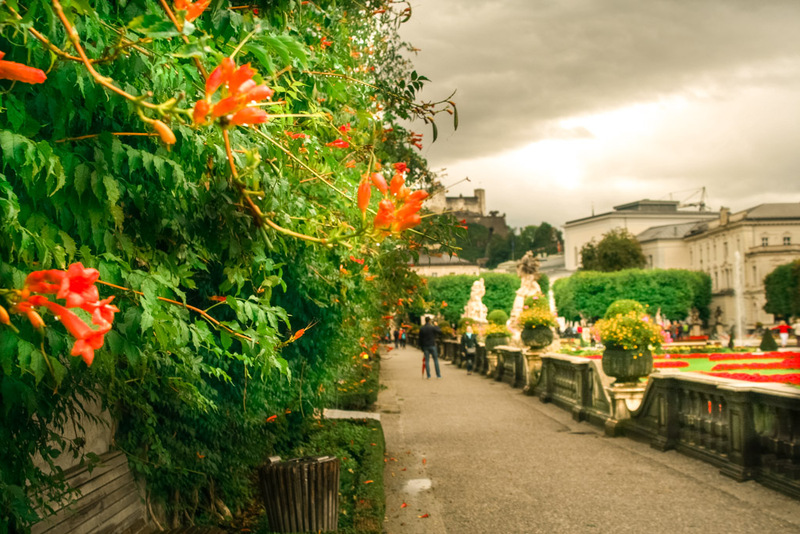 Palace area also includes a great garden. 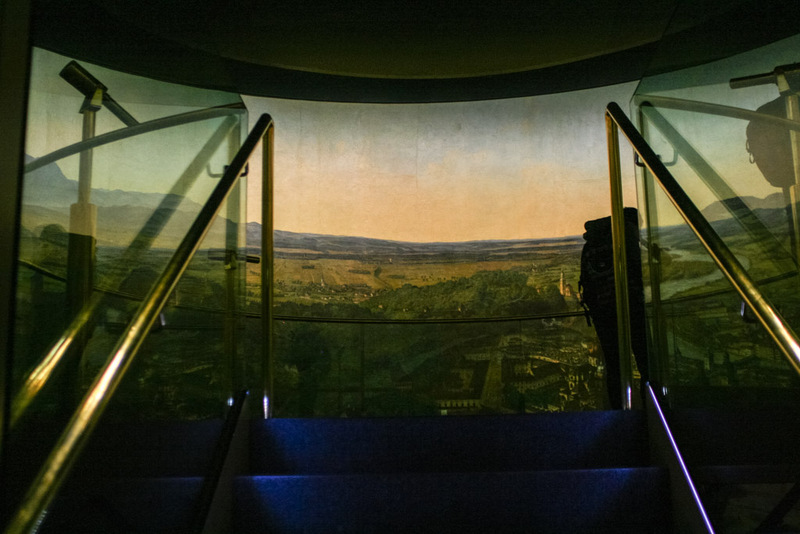 On our arrival, we were able to contemplate an amazing exhibition of a 19th-century painter Hubert Sattler, whose astonishingly detailed paintings are decorating the walls of the museum. 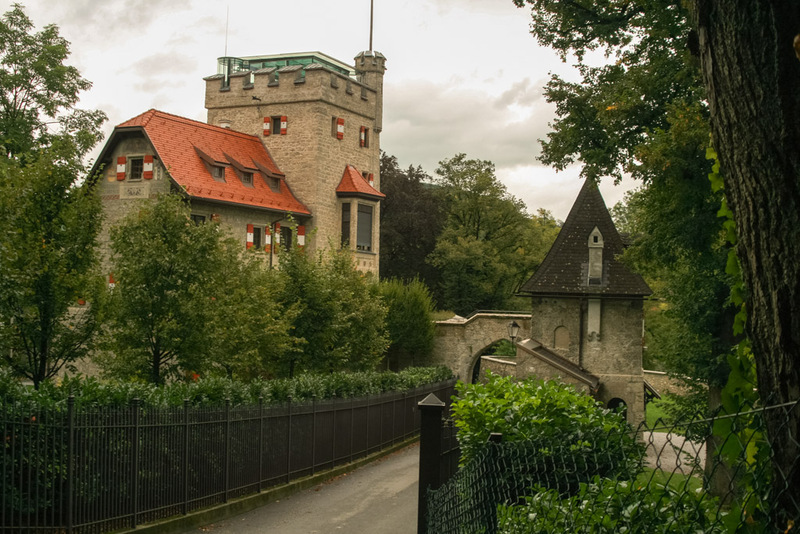 More information about the painter on the website in German. Hubert is mostly famous for his city’s panorama that is extremely vivid and amazingly detailed. The panorama museum features a dozen of works of this landscape artist. 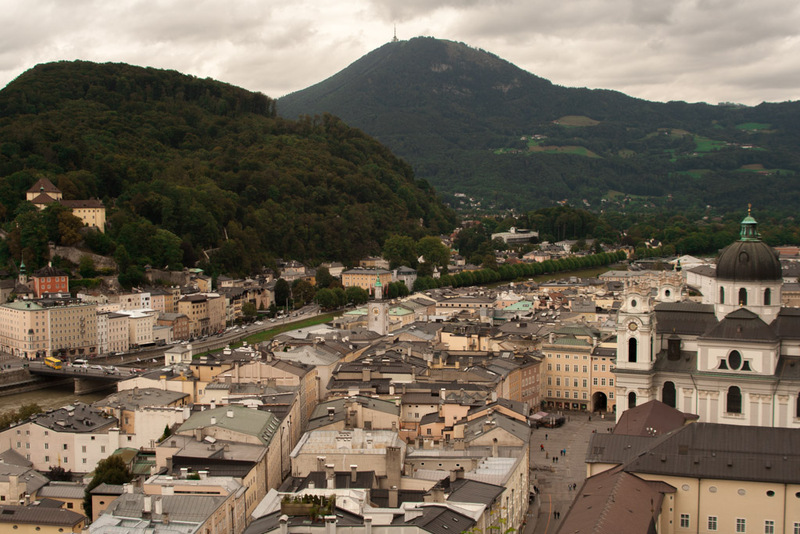 The panorama of the Salzburg was created during 1825–29 and occupies the whole room. 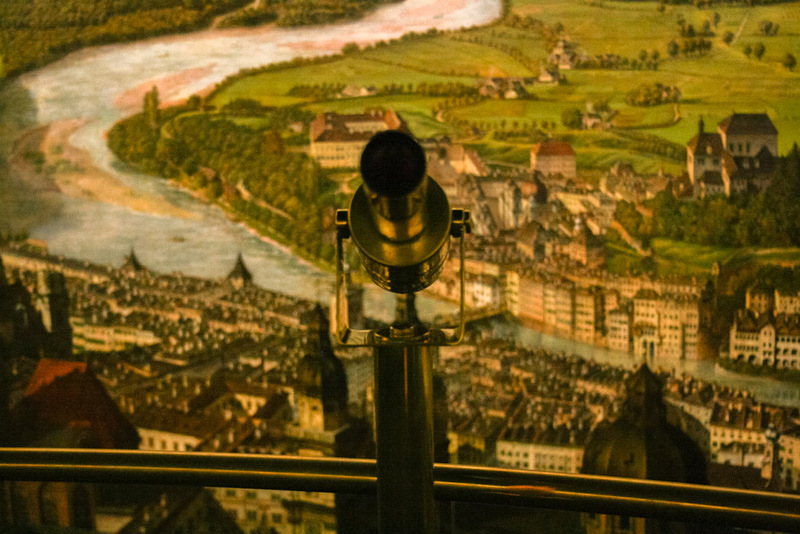 One can view all that small details through the magnifying glass. 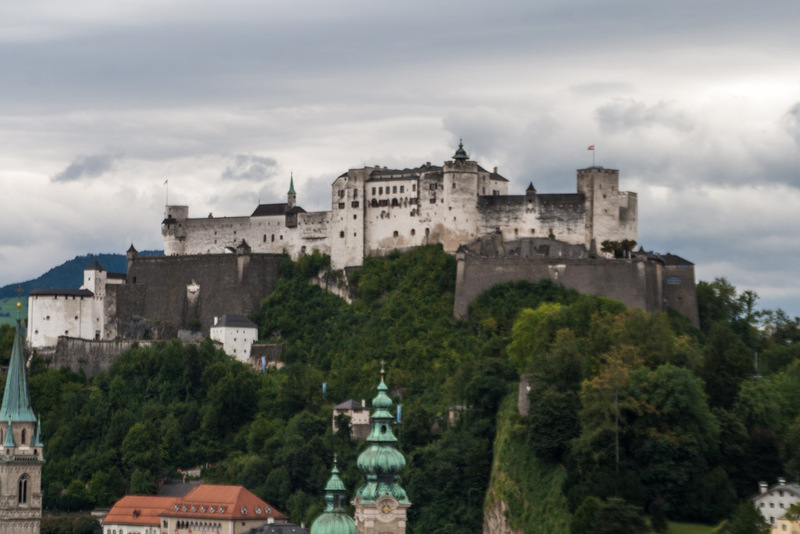 Or Hohensalzburg Castle is located atop the hill above the city. 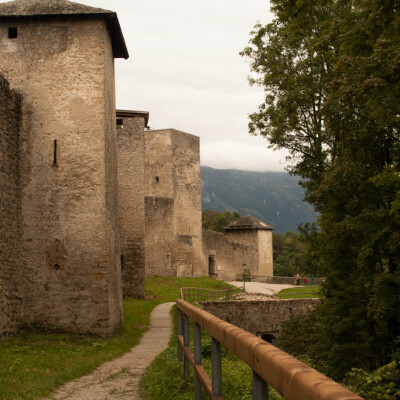 The foundations of the first wooden edifice were laid in 1077, later the fortress expanded under the rule of archbishops in 1462 and obtained a ring and stone walls, thus being turned into the fortified structure. 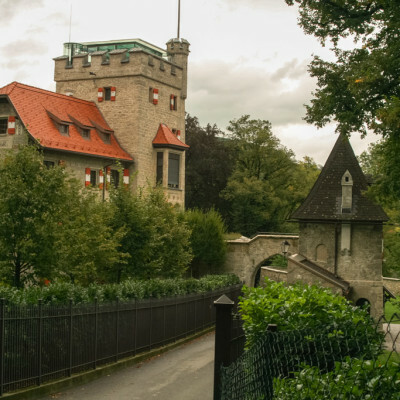 The Festungsbahn cable car which was opened in 1892 is leading to the castle if you don’t want to ascend the hill that rises 506 meters above the sea level. 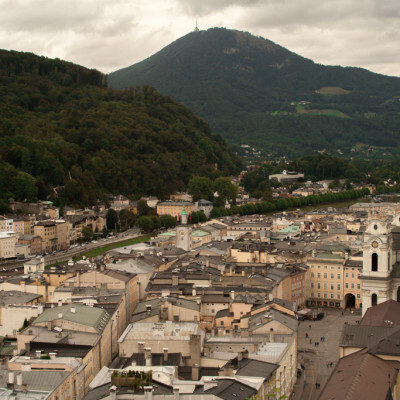 As for our knowledge, the funicular is expensive and one can easily ascend the top without it. 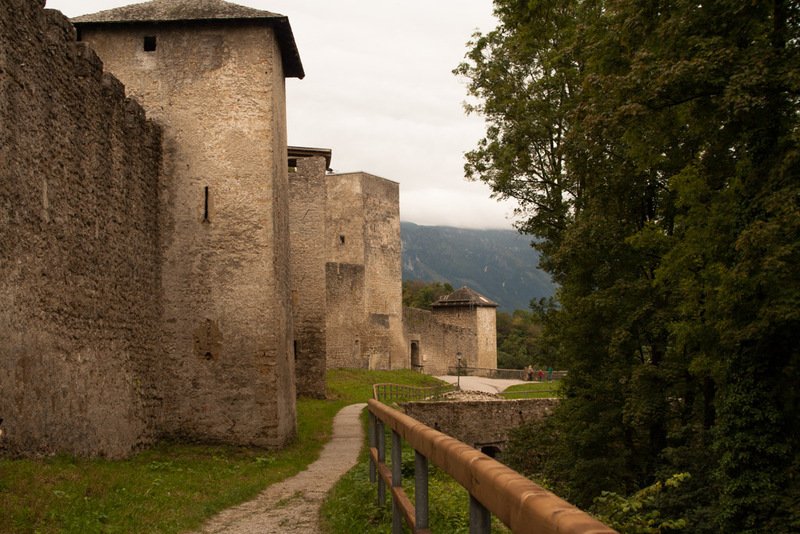 The entrance to the castle is somewhat 8 EUR, but we are not sure if one is allowed to enter the premises. 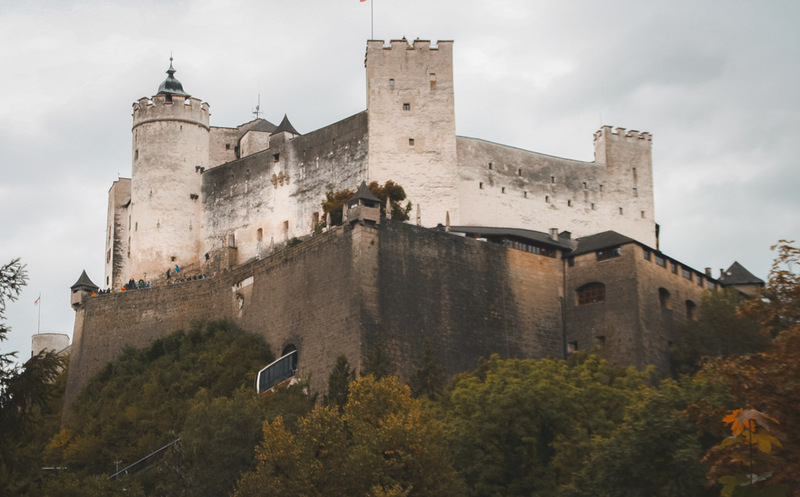 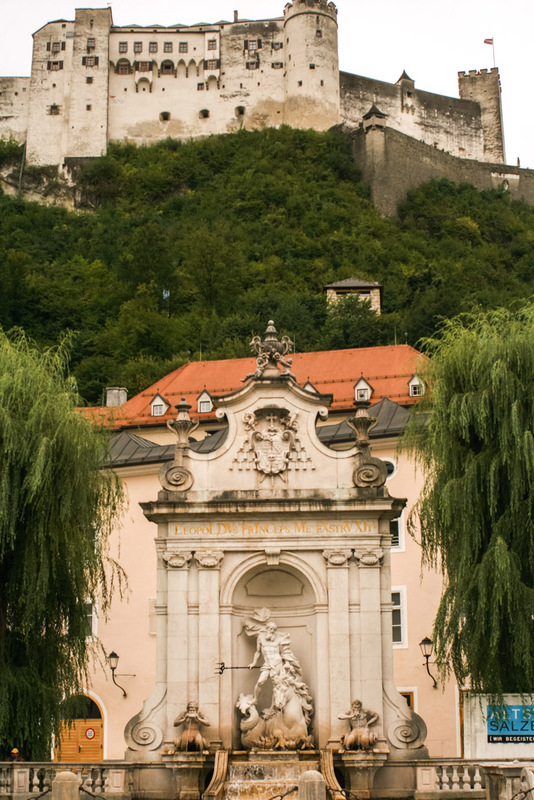 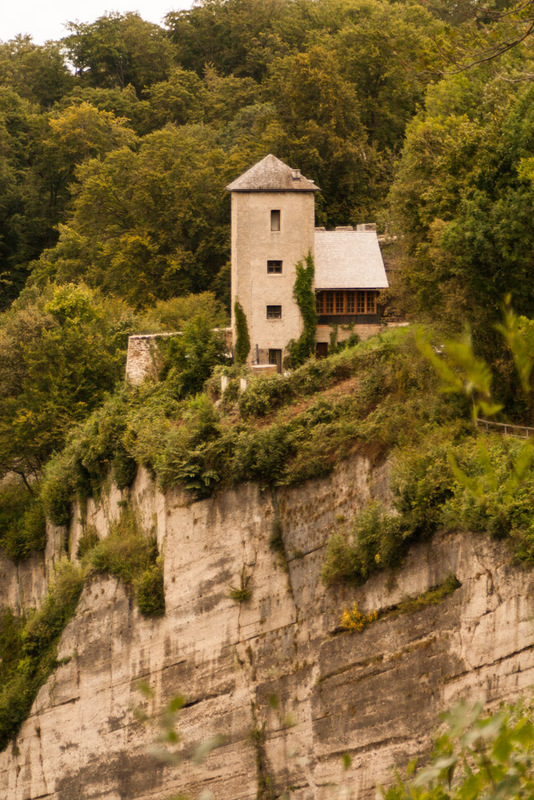 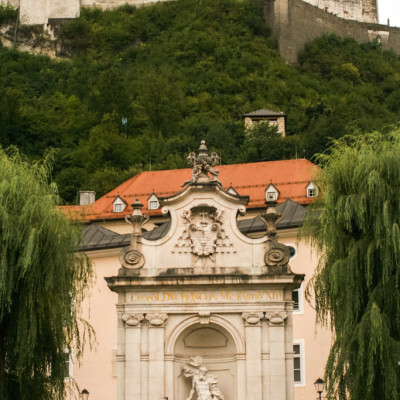 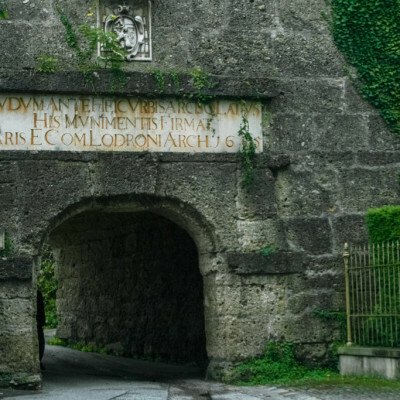 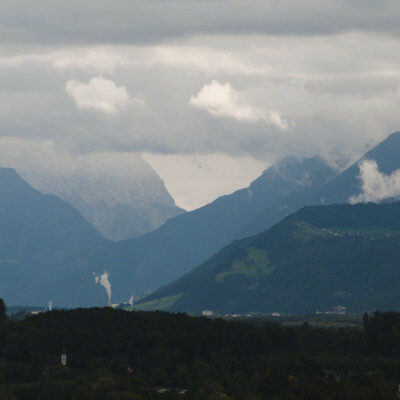 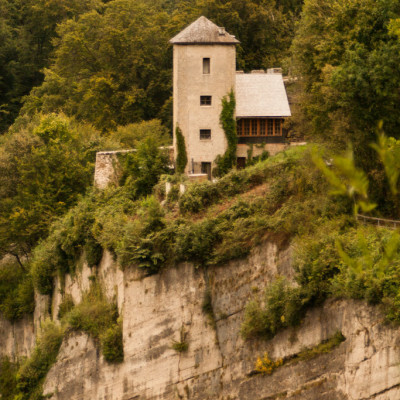 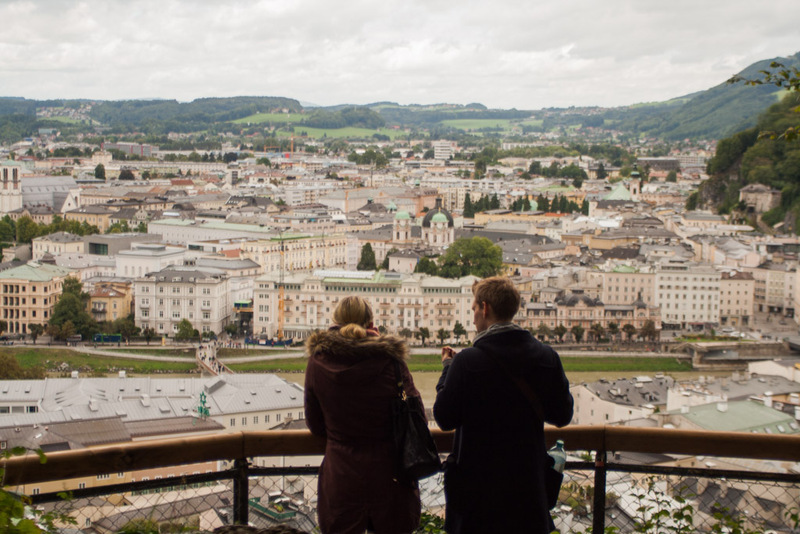 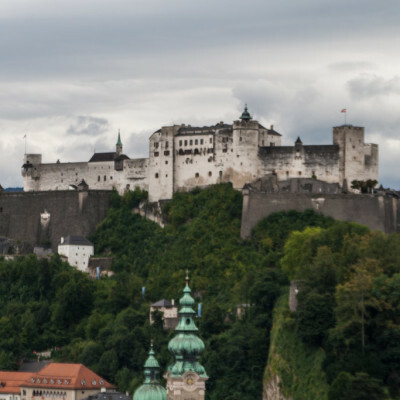 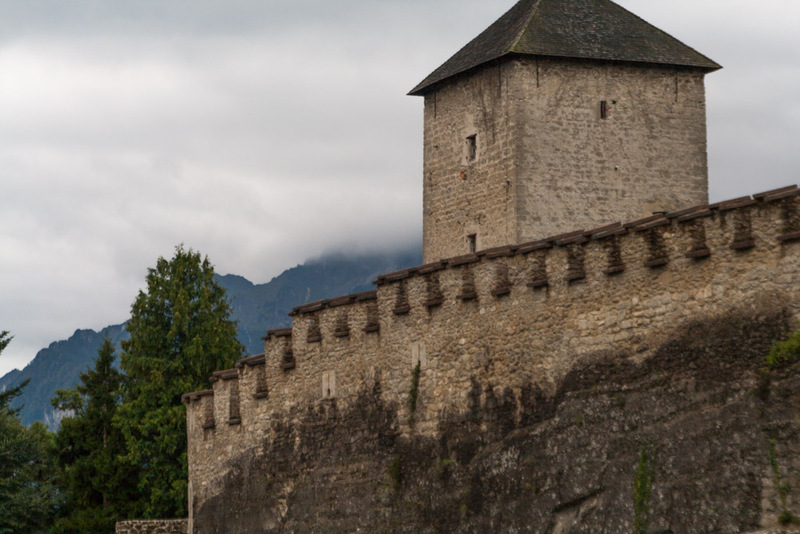 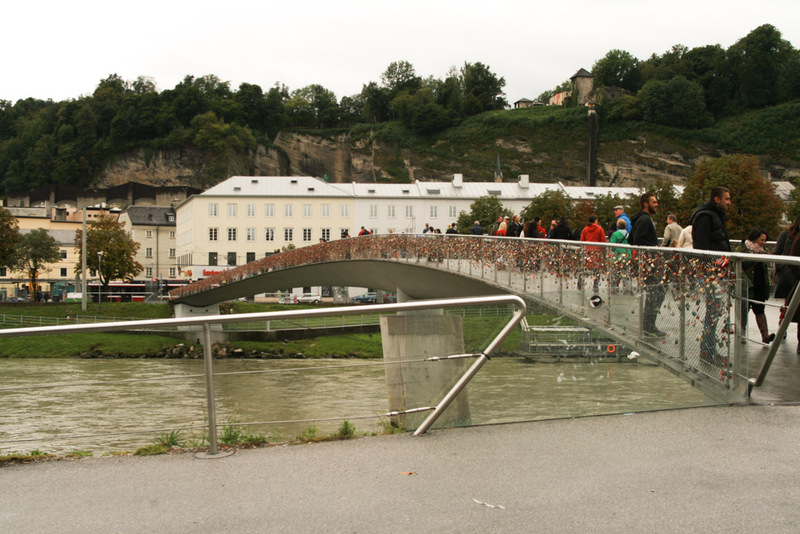 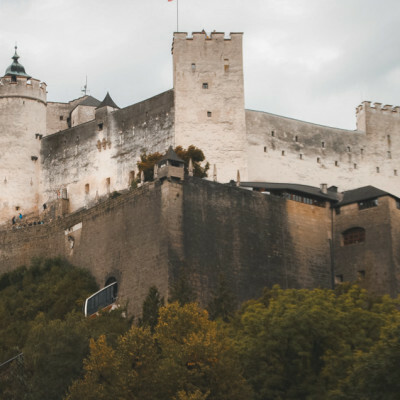 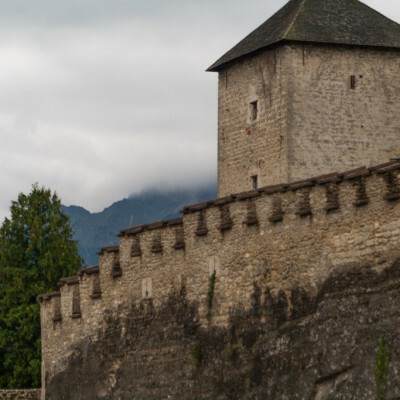 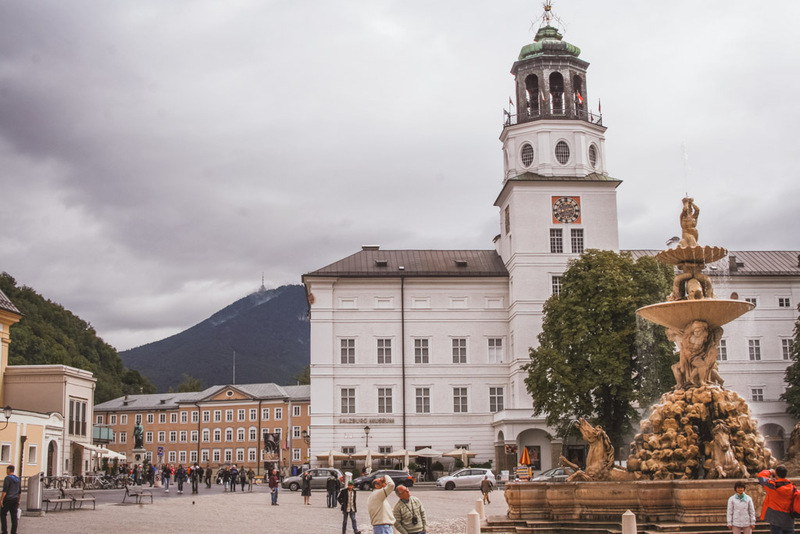 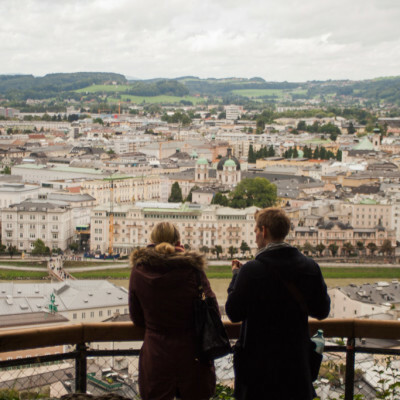 A tourist on a budget would better wander the area near the castle and descend on the other side of the city across the river, or reach the museum of modern art in Salzburg, which is also located atop the city. 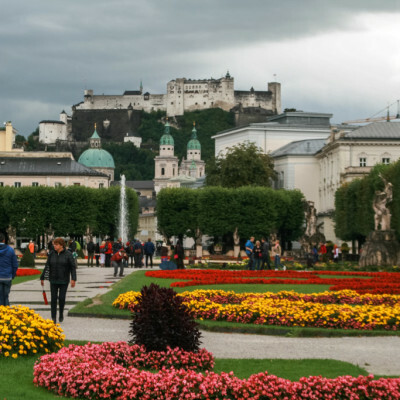 A huge park is located near the castle, and one can make a good circle around the city, reaching some good viewing spots. 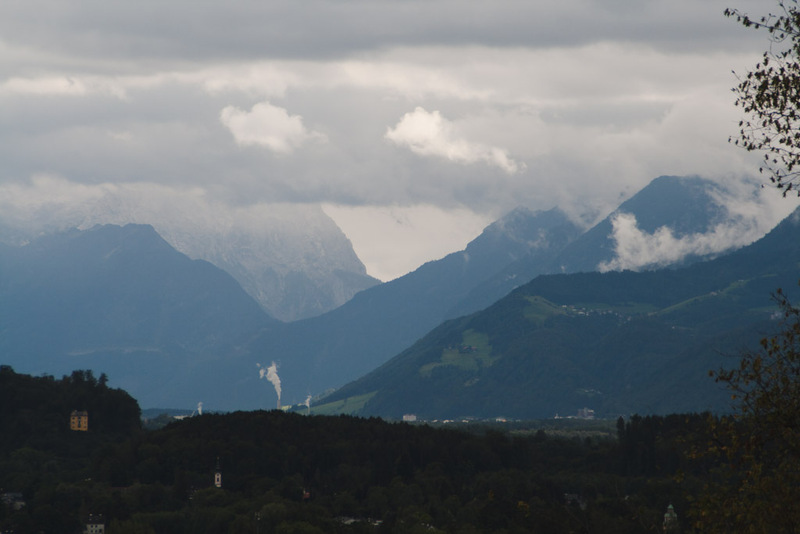 Also, on a clear day a wanderer can spot mountain peaks that are looming in the distance. 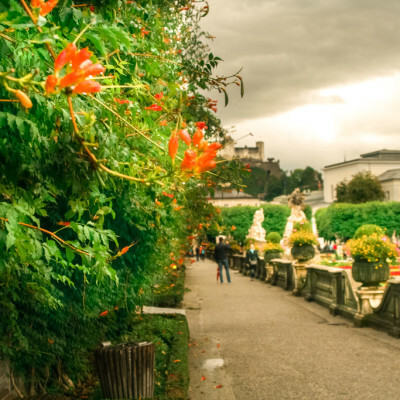 There are actually a lot of things that can be visited in the city — a variety of museums, gorgeous churches, saturated tours and guides. 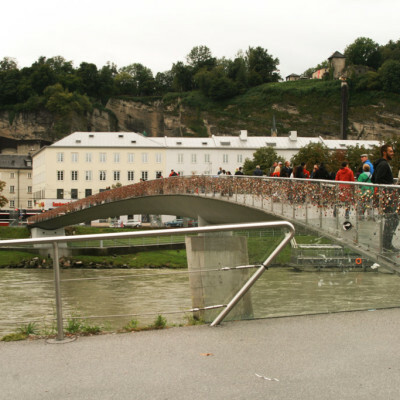 But if you are visiting the city only for one day and do not afraid to walk a lot then just go and discover it as much as you can.